Ah, the gummy bear! Who would have thought that you could use this tasty candy treat for a cute kids’ art activity? 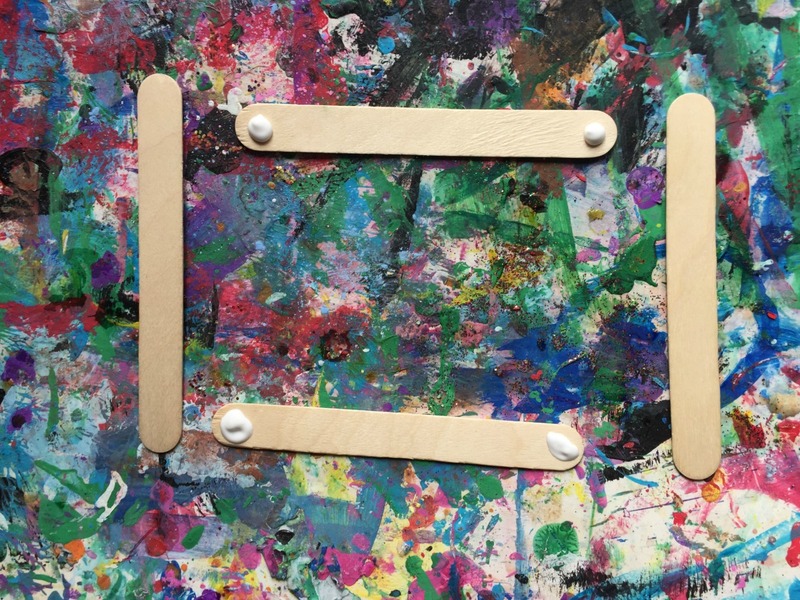 And a DIY picture frame nonetheless? Well, you can. I’m a fan of eating the squishy little bears. That said, sometimes I forget that I bought a bag while walking the aisles of Target (I meant to get cat food, towels and an air freshener, but somehow ended up with a cart filled with things like candy). The forgotten bears go from sweetly soft and chewy to rock hard – making them completely inedible. Now what? 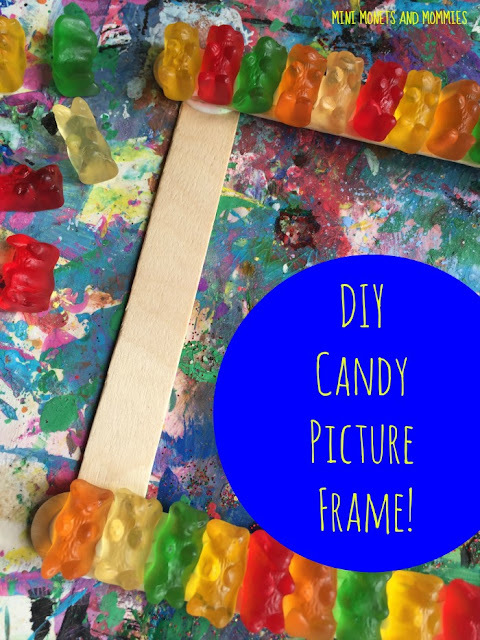 Take your stale gummy candy and turn it into this crafty little picture frame! Add the frame to your child’s room décor or gift it to a friend or family member (it’s an easy holiday present for grandma or a fun end of the school year gift for teacher). As a bonus, this frame isn’t just an artsy gift. 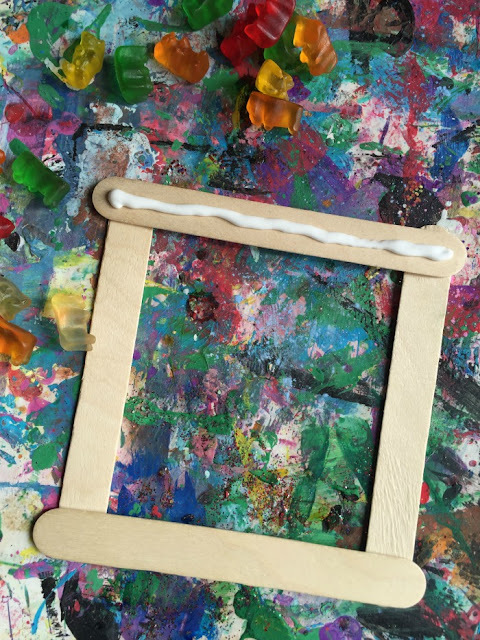 It helps your child work on fine motor skills such as eye-hand coordination and dexterity, color recognition and sorting (she’ll match colors with bears and glitter later on – if you want to add this step). Keep your child’s creativity in mind while creating this craft. That means she doesn’t have to make her frame to look exactly like we did. Does she want to add more bears? Ok! Maybe she wants to use a different color pattern? Great! What happens if she wants to position the bears in a different way, use only one color or glue on just three bears? That’s fine too. The picture frame tutorial simple present the basic how-to steps. 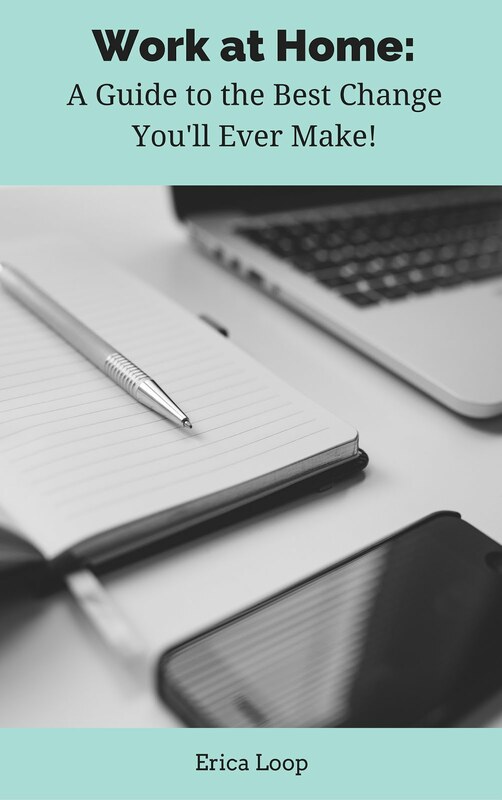 Take it from there and let your child make the project her own. 1. Position the craft stick in a square shape. 2. Dot glue on the ends of the top and bottom sticks. 3. Press the side sticks on to complete the frame shape. 4. Draw a line of glue along the craft stick. 5. Line up the bears, pressing them into the glue. 6. Repeat for one or more of the other sides. 7. Optional: Create glitter gummy bears. Pour a quarter-sized pool of school glue onto wax paper. Give the bears a bath in the glue. 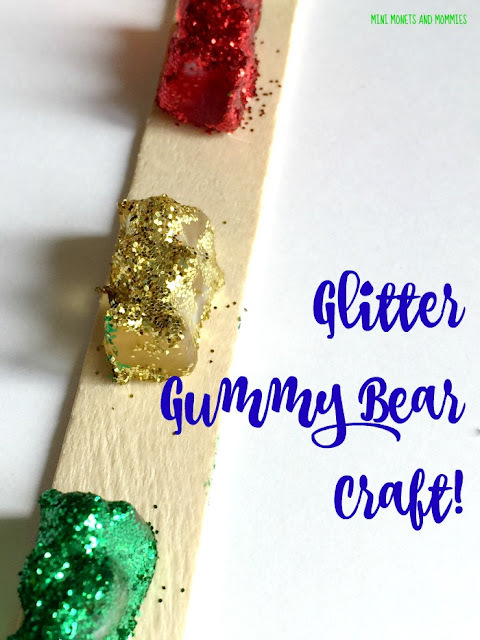 Sprinkle the glitter on top of each one, matching the glitter color to the bear’s color. 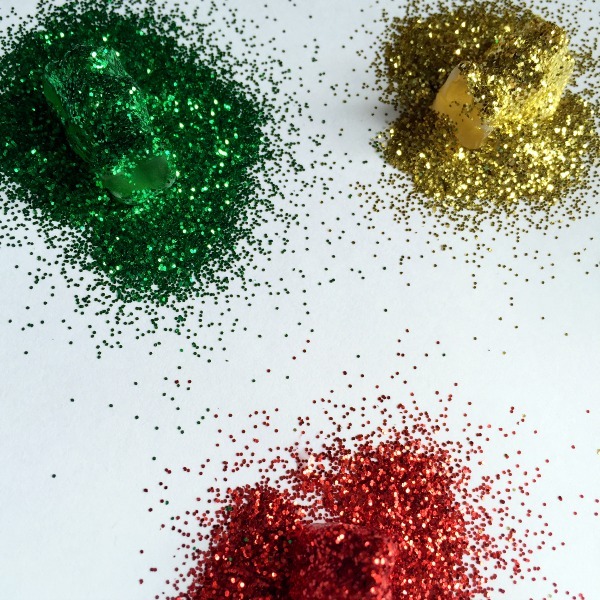 Let the glitter-bears dry. 8. Glue the glitter guys onto the frame too! 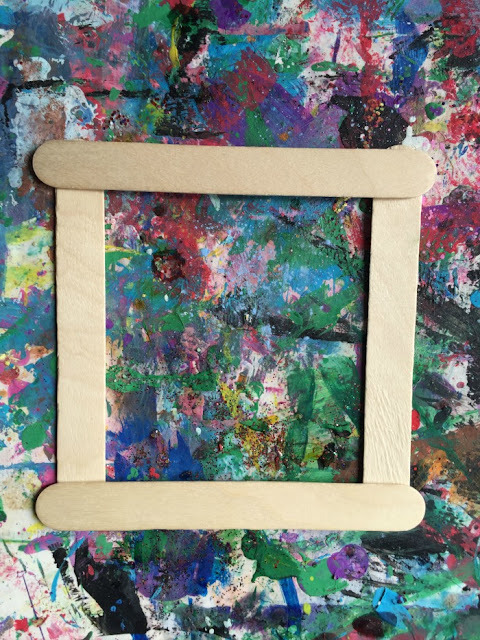 When the frame’s dry, tape a photo or one of your child’s drawings to the back. You can prop up the frame or attach magnetic strips to the back, turning it into a fridge magnet. 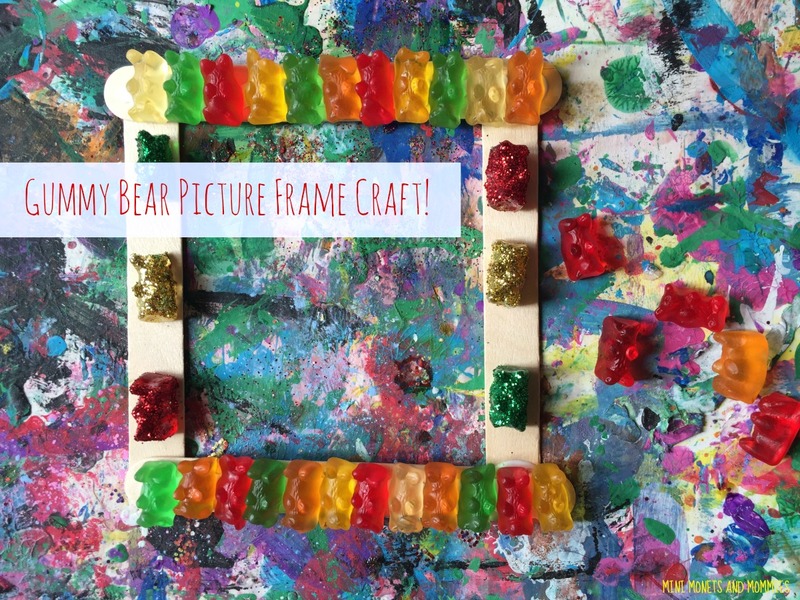 Are you looking for more kids’ crafts? Follow our Pinterest board for ideas! 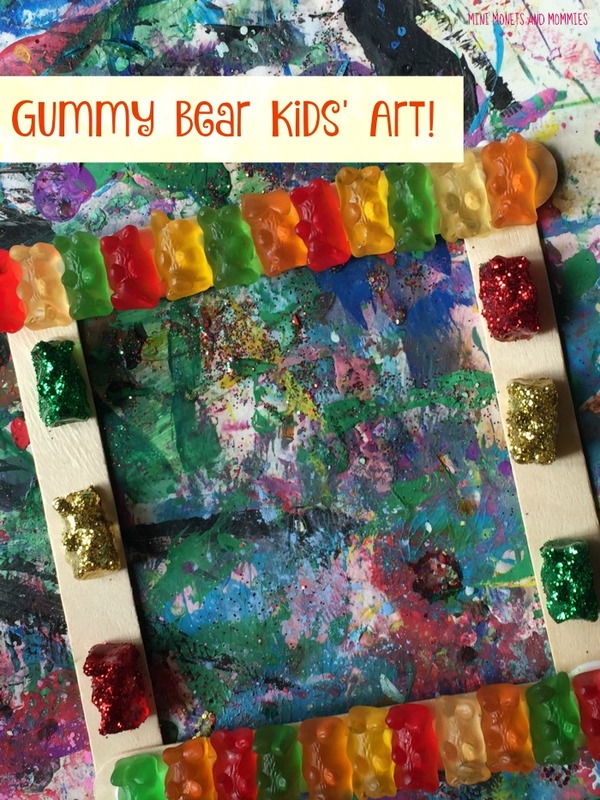 How Can You Create Art Activities for Kids? Colorful Cupcake Math for Kids! Really!